Searching for a tea that is bursting with flavor without the caffeine? Decaf lovers, look no further! We start with a decaf Sri Lankan tea then hand-blend with warm, soothing flavors of hazelnut and cinnamon and finished with silky crème. The cup is rich and comforting, decadent without being heavy. Ideal for tea lattes, perfectly paired with a cozy fireside before a long winter’s nap. 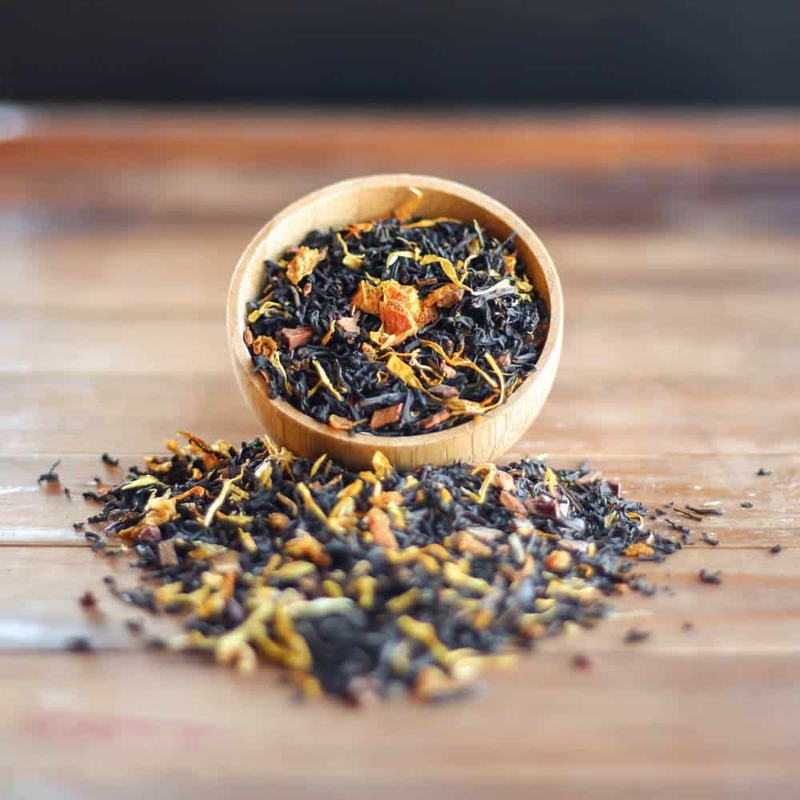 Decaf Black Tea (Ceylon), Cinnamon Bark, Orange Peels, Cocoa Nibs, Marigold Flowers, Natural Hazelnut Flavor, Natural Creme Flavor And Natural Cinnamon Flavor.